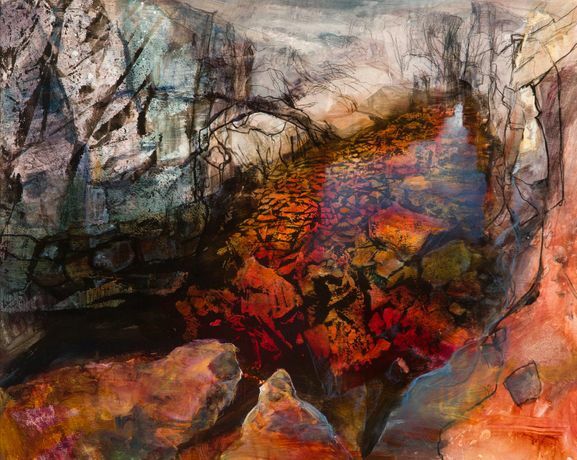 Beth Robertson Fiddes is one of the most exciting contemporary Scottish landscape artsits. 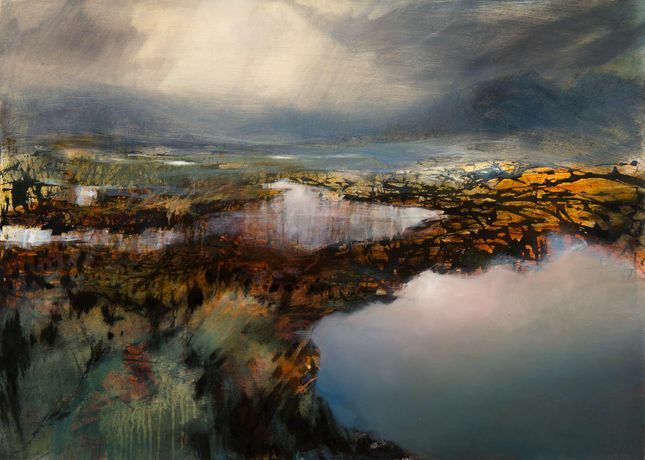 For this exhibition - RECOLLECTION | northern dreams - Robertson Fiddes has produced over sixteen exciting new works that capture all the majesty of the north with her own powerful and ambitious techniques. 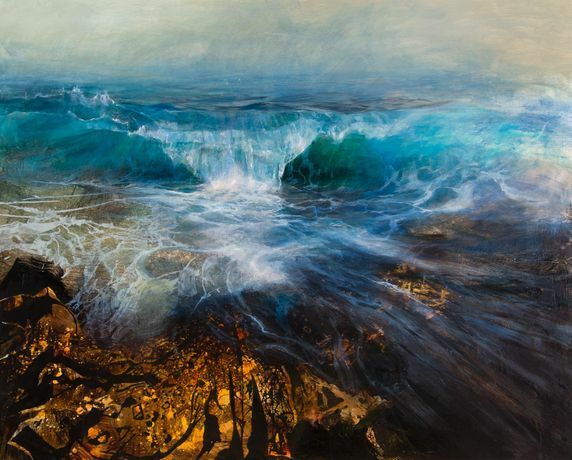 Nature, despite mankind’s efforts over the last two-hundred years, still puts on the greatest shows, and Beth Robertson Fiddes is one of its finest chroniclers. We have all felt it – a moment of sublime beauty that is hard to forget. The brief illumination of an ancient hill, still water that reveals a submerged world or the endless music of a waterfall. We feel mist on the face, smell salt and seaweed and relax in the still air of a forest. This is what it is like to be human. In this exhibition, RECOLLECTION: northern dreams, Robertson Fiddes goes beyond the mere illustration of beauty or romance, and places us clearly within the canvas. In the Big Wave we are on volcanic rocks that are consumed by a large wave. In Cold Rest a new world is revealed is if we are the first post-glacial visitor to the north. 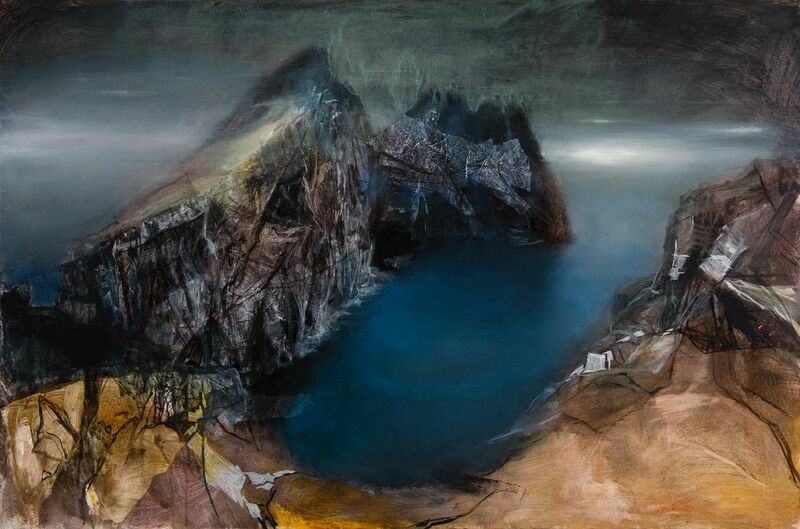 In Dun from Hirta the viewer (and artist) teeters on the brink of the cliff looking down in vertigo. There is something filmic in all Robertson Fiddes’ paintings: all the sound and power of the tone-poem films Koyaanisqatsi, Baraka and Samsara. They are Robertson-Fiddes’ homage to the greatest show on earth.